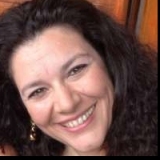 Counting over two decades in Marketing & Communications, Marianna Papadopoulou is the Marketing Director of the supermarket and the cash & carry chains of METRO S.A., Greece. After receiving her MBA from Imperial College she joined Hasbro; however, her love of food guided her subsequent career choices. In Elbisco, a Greek snacks and bakery manufacturer, she masterminded the strategic transformation of Allatini, one of the two major Greek sweet snacks brand, into becoming the leader in innovation and in Katselis, a Greek bakery manufacturer, she successfully launched “Snackers’ Place”, a snacks and coffee chain. She joined METRO in 2008 and at her current post, she has designed the retailer's Corporate Affairs strategy, established a coordinated CSR programme and powerfully ushered her brands into the digital era. She has contributed in enhancing company image and sales growth by relaunching the private label lines, attracting younger customers and lowering My market’s price point perception while personalising METRO Cash & Carry customer communication through a complete CRM programme.